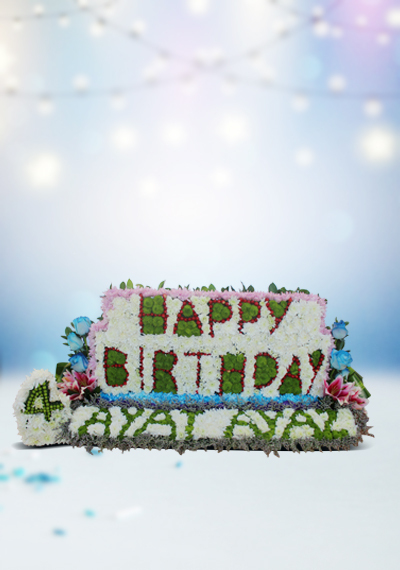 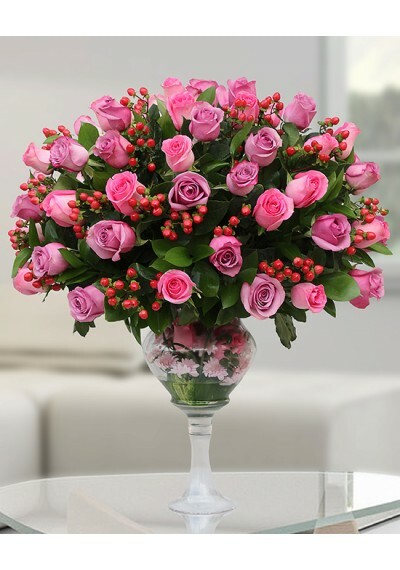 Happy Birthday, Fresh Flower Arrangement is a factual celebration of color and life, to surprise and delight your special recipient on their big day! 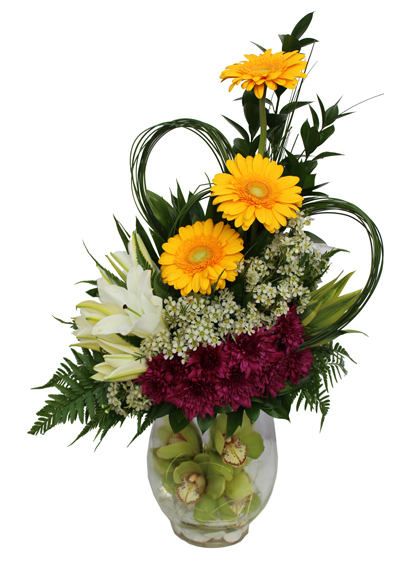 This flower arrangement composed of chrysanthemum, roses, lilies and many more.its the perfect gift for someone who deserves all the loves. 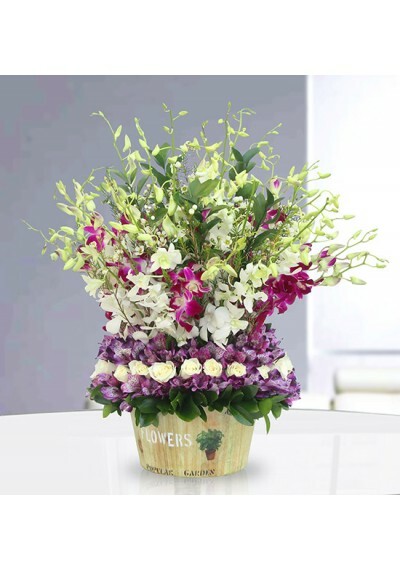 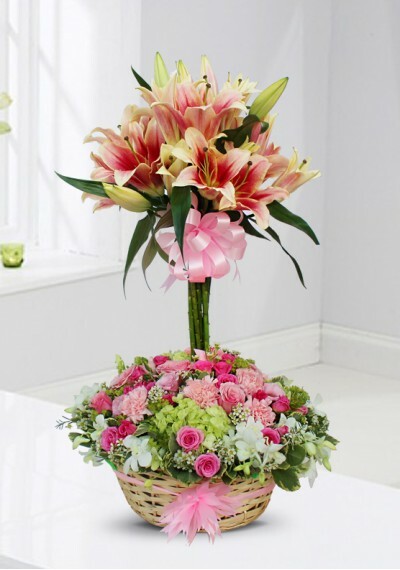 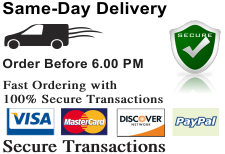 Standard size AED 1099.75	6 Roses, 6 Pink Lily, 25 Stem Hypericum Red, 20 Stem Green Chrysanthemum, 7 Stem Pink Chrysanthemum, 30 White Chrysanthemum, 6 Stem Lisianthus, 3 Stem Limonium.